Experience the full-bodied flavour and enticing aroma of 100% fine Arabica beans, freshly ground espresso for every cup with our new state of the art specialty coffee system. Welcome to a new way to café. OREO and the OREO Wafer Design are trademarks of Mondelēz International group, used under license. 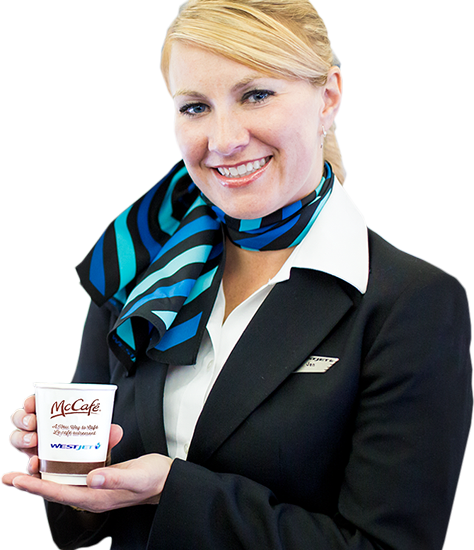 Discover the rich, bold flavour of McCafé® Premium Roast, now served on WestJet. 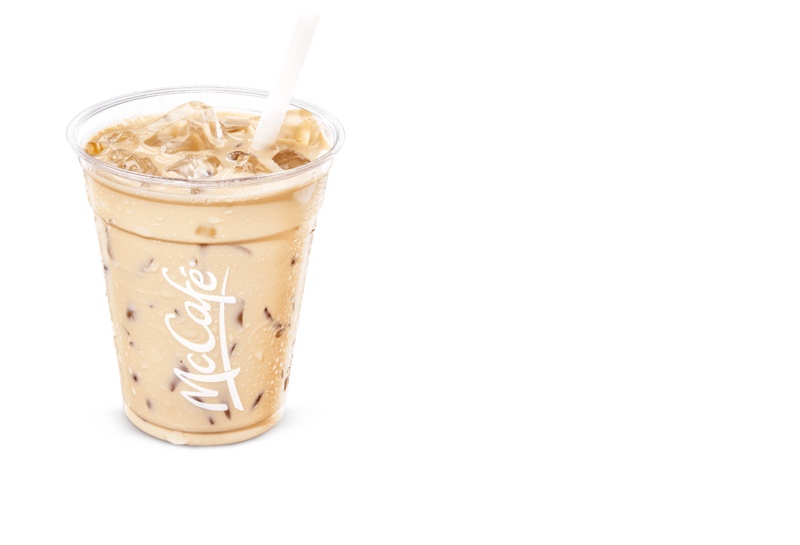 Our Latte is smooth and sophisticated, made with our signature McCafé® espresso and topped with fresh Canadian milk, steamed and frothed. When you’re in the mood for something special, add your choice of a vanilla, sugar-free vanilla, or caramel flavour shot. 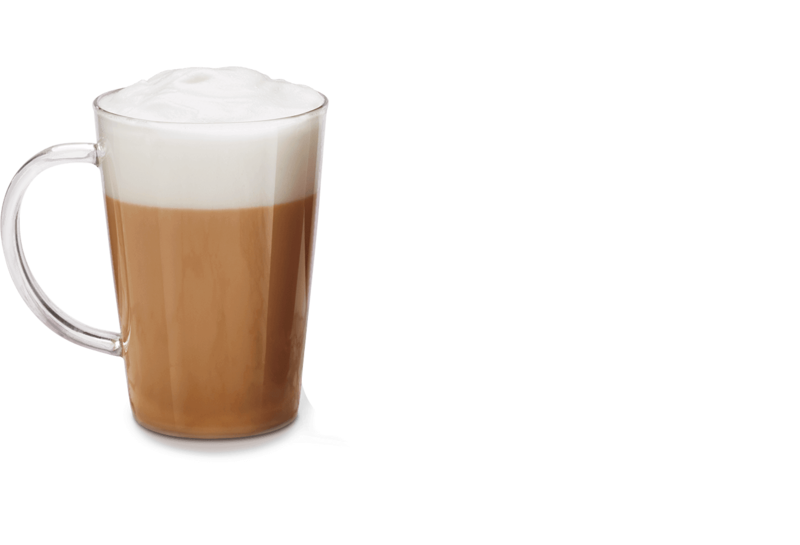 Our Cappuccino is bold and classic, made with our signature McCafé® espresso topped with fresh Canadian milk, steamed and frothed. Our Americano is bold and robust, made with our signature McCafé® espresso combined with hot water, for coffee aficionados who prefer a bolder cup. 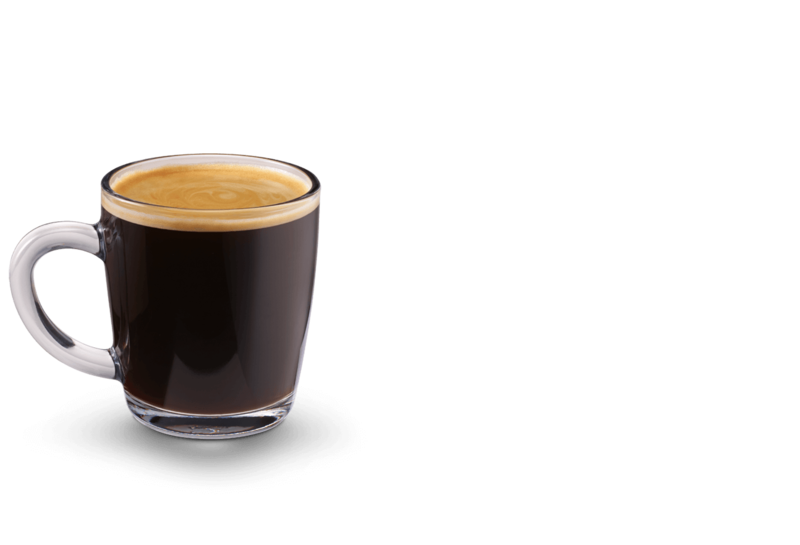 Rich and flavourful espresso made from 100% fine Arabica beans. Enjoy a long, slow sip of delicious and delectable tea. Choose from Orange Pekoe, Earl Grey, Peppermint or Green Tea. The perfect medium-dark roast tailored to Canadian tastes, made from 100% Arabica beans roasted slightly darker than medium to yield a perfectly balanced full bodied flavour with rich aroma. 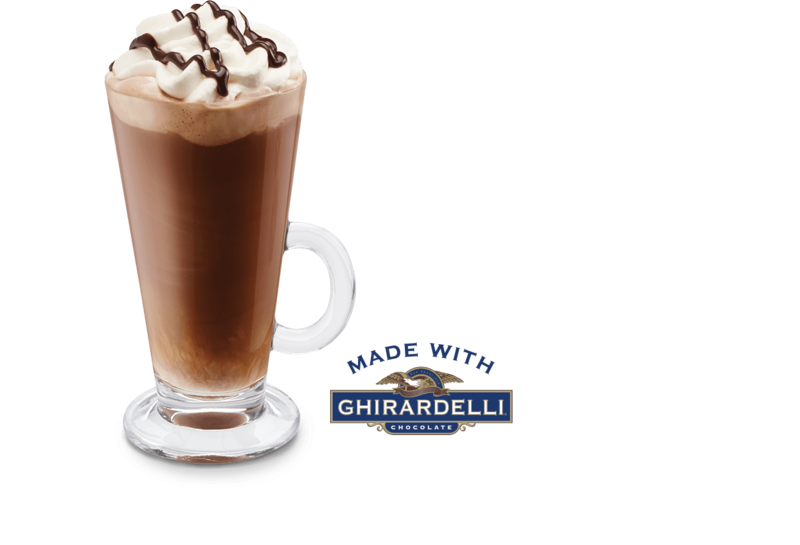 GHIRARDELLI and logos are registered trademarks of Chocoladefabriken Lindt & Sprüngli AG, used under license. Our Mocha is chocolate lovers’ heaven in a cup, made with our signature McCafé® espresso and fresh Canadian milk, steamed and frothed with decadent Ghirardelli® chocolate and topped with whipped cream and Ghirardelli® chocolate sauce. Also available in Deluxe Hot Chocolate. Experience the decadence of Deluxe Hot Chocolate. Made with freshly steamed milk, Ghirardelli® chocolate, and real whipped cream. Made with McCafé® Premium Roast coffee for that same rich, smooth and delicious taste. 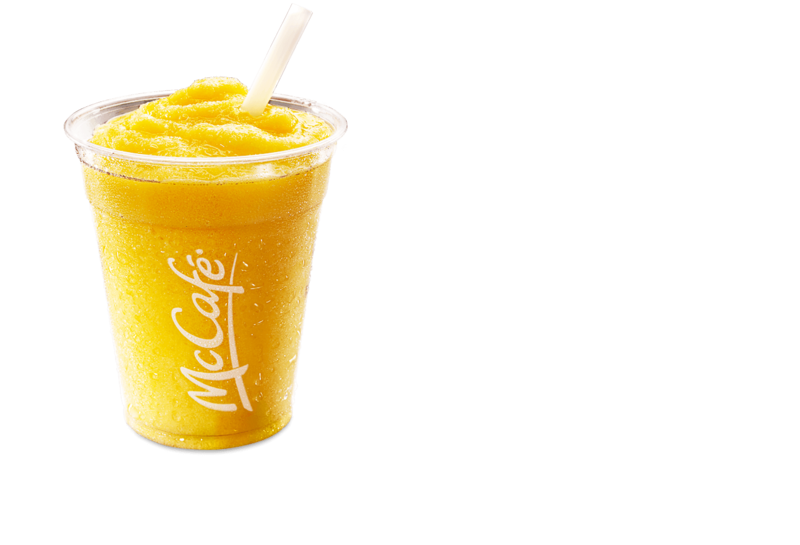 Enjoy it the way you like it, with cream, milk, black or sweetened with sugar. Add your choice of a vanilla, sugar-free vanilla, or caramel flavour shot. 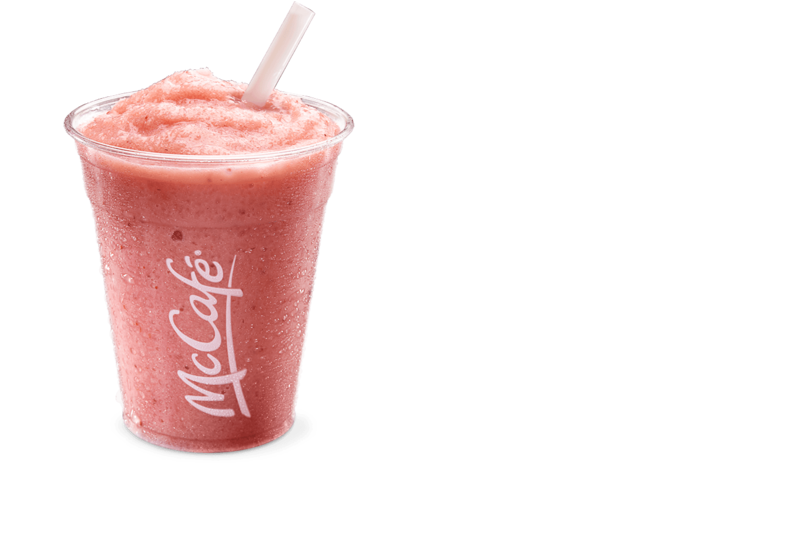 Our Real Fruit Smoothies are freshly blended with real fruit purée, low-fat yogurt and ice. Smooth, thick, and blended consistently from top to bottom. One serving of fruit in a small size. 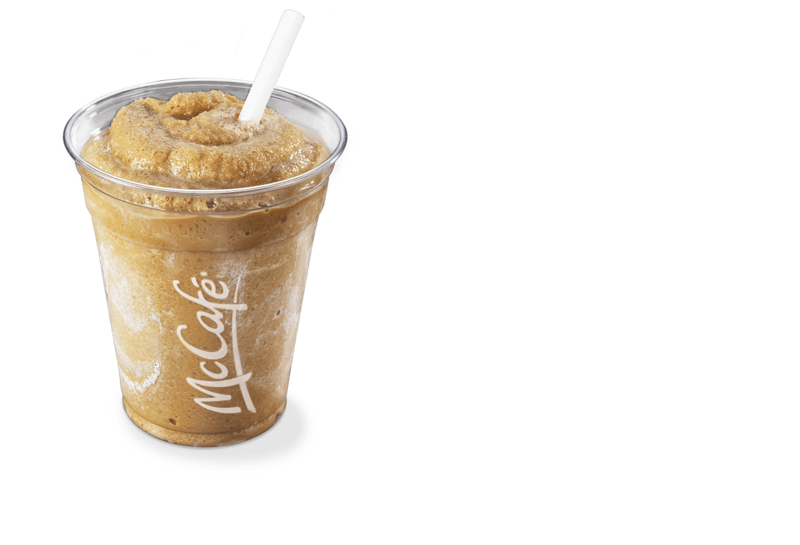 The perfect balance of coffee and sweetness made with our signature McCafe® coffee blend, freshly blended with ice for a deep down, creamy cool. Refreshing combination of vanilla and chai flavours including cinnamon and nutmeg, freshly blended with ice for a deep down, creamy cool. 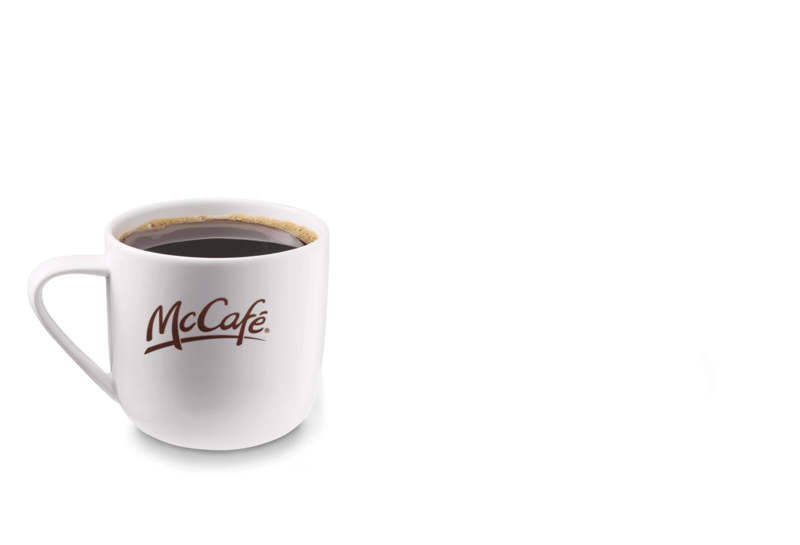 All our McCafé® specialty coffees are made with 100% fine Arabica beans. We source our beans from farms in Indonesia and Central and South America, which means our beans are grown and harvested with great respect and care for people, wildlife, and the environment. Beans from Indonesia, Central and South America. 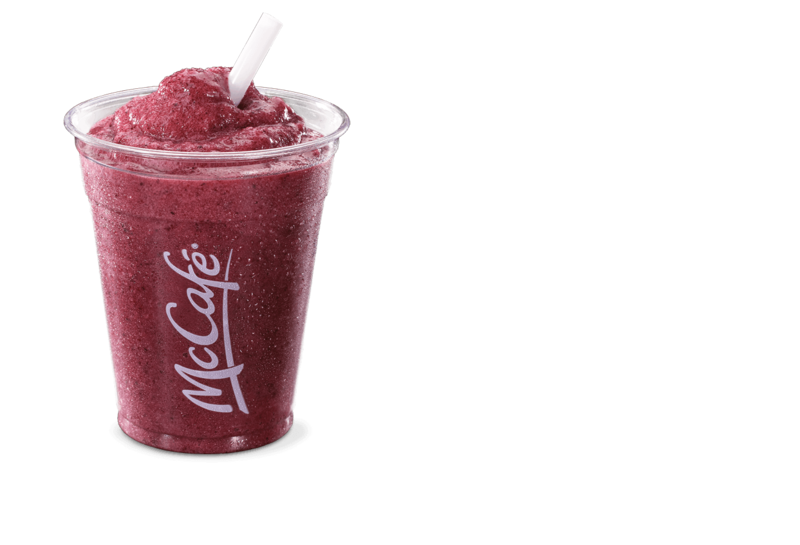 Specially blended for Canadian coffee lovers. 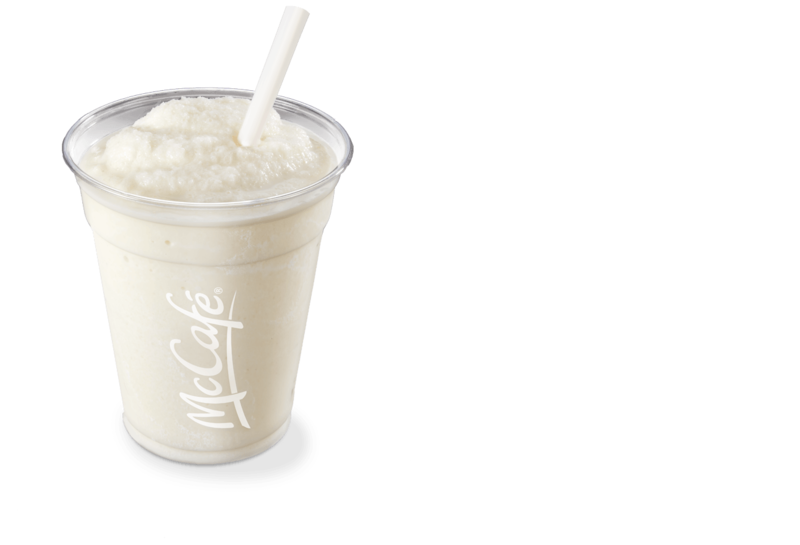 From halfway around the world, to your McCafé® specialty cup. Made with beans sourced from Indonesia and Central and South America, our signature blend is designed especially for Canadian coffee lovers. Arabica beans are picked from the very top of the growing area. The heart and soul of a great coffee. 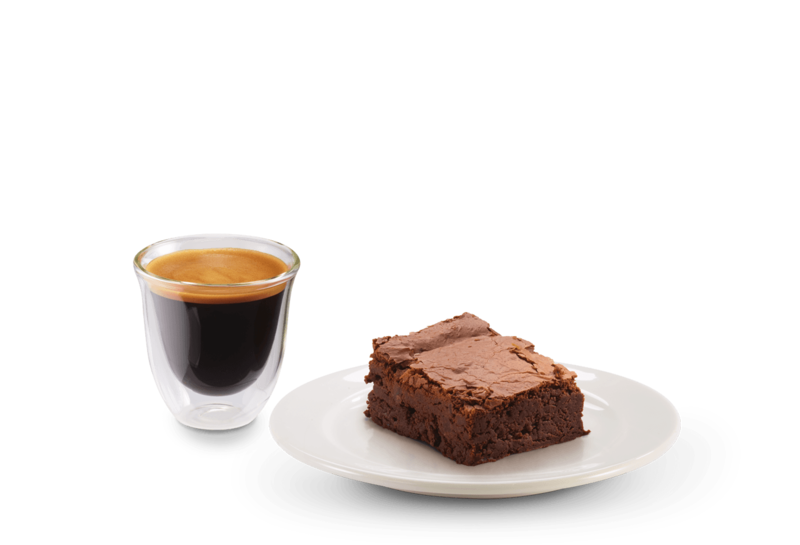 We use 100% fine Arabica Beans, dark roasted by fire to highest espresso standards to deliver a rich full-bodied flavour. with a bit of sweetness. The perfect medium-dark roast, delivering a consistently rich, smooth and delicious taste. Made with strictly hard beans grown at high altitudes to allow more time for the flavour to develop, and fire-roasted the traditional way by master craftsmen. Made from high quality 100% fine Arabica beans roasted slightly darker than medium. The unique SWISS WATER Process is 100% chemical free, and uses B.C. coast mountain water to naturally remove the caffeine and preserve the perfectly balanced flavour of our Premium Roast. We create your McCafé® specialty coffee using our new state of the art speciality coffee system, designed to highlight the rich, full-bodied flavour and enticing aroma of our signature espresso. 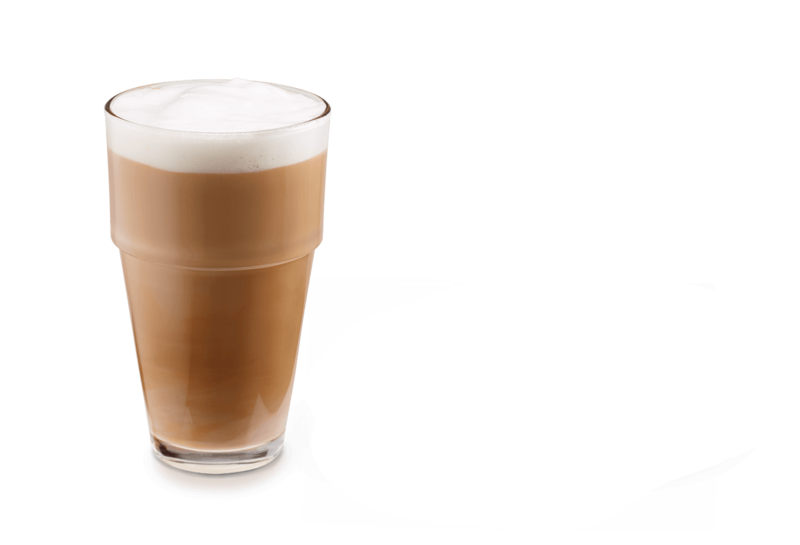 Balanced with fresh Canadian milk steamed and perfectly frothed, our system delivers the ideal coffee experience every time. One indulgence deserves another. 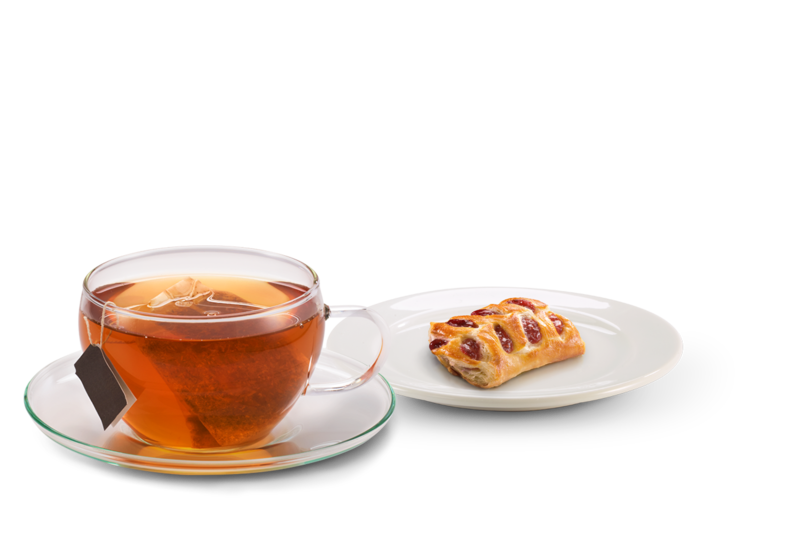 Pair your McCafé® specialty coffee with one of our delectable all-butter pastries, baked daily. Your routine will reward you. 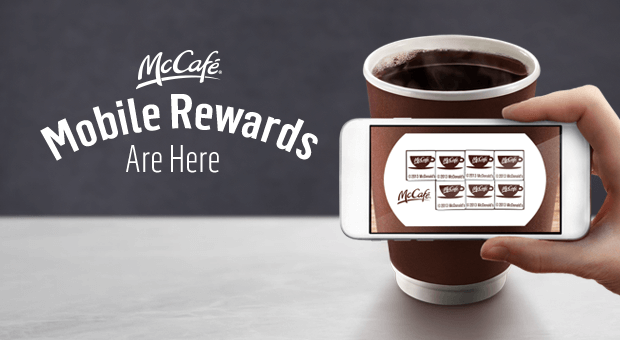 Buy seven hot beverages, and your next medium McCafé® hot beverage is free.